Testimonials written by Z Reverse Mortgage clients are listed here. We don’t solicit reviews or sell a service. We’re simply a resource for individuals interested in learning more about the Z Reverse Mortgage process. Don’t take our word for it. Hear directly from the wonderful people we’ve worked with in the past. Links to their Yelp reviews are included. Z Reverse Mortgage’s priority is giving useful, trustworthy advice. On a daily basis Ive been seeing TV ads about reverse mortgages. I always thought this was just another ploy to take money from seniors. I decided to take initiative and start calling and asking questions but everywhere I turned I was being sold sold and more sold! I was sick of it so I called Z Reverse Mortgage while searching online. What a breath of fresh air it was. They were extremely knowledgable and informative. Not only did they give me great information but the advisor went above and beyond. After the call I was ready to move forward so they partnered me with a great company and I haven't looked back since. Great company with a lot of useful information. I was able to find the real behind the scenes pros and cons of reverse mortgages. Thank you for being so honest. It's a scary situation if you are considering a reverse mortgage and you don't know too much about it. 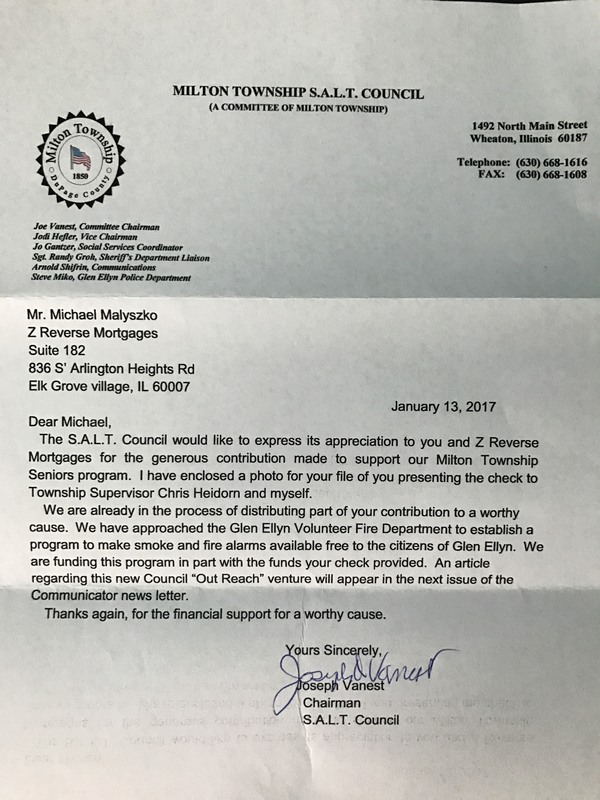 I am so glad I contacted Michael Maly, with Z Reverse Mortgage, who wrote a whole page on reverse mortgages in my township bulletin. Michael is actually the second broker I contacted and I am so glad I did. The first broker evaluated my home so high, only to entice me to sign up with him, and then disappoint me later with a lower value once he had my business. I knew my home wasn't worth as much as he proposed. "Timing is everything" . . . When I read Michael Maly's article I called him immediately. He made me feel so comfortable and put my mind at ease answering all of my questions. He was courteous, honest, and is very trustworthy. Michael was very conservative when he projected the value of my house and the appraisal was "exactly" what Michael estimated what my home is worth. I was also impressed in how prompt he is in returning calls. Michael Maly is an expert on reverse mortgages and I will recommend Michael to anyone I know who is interested in a reverse mortgage. My grandma was reached out by Michael who explained the great benefits of reverse mortgages. She told me she never met such a polite man with such strong expertise in the reverse mortgage industry and stated this was the best decision she made in her entire life. Thank you Z Reverse mortgage to giving my grandma financial freedom and providing such good care to my 82 year old grandma. Kudos to Michael to making the process so easy and efficient. Firstly, Z Reverse Mortgage were successful with helping my parents with a reverse mortgage. English is not their first language so naturally I had to work with both my parents and Z Reverse Mortgage. Since they are near retirement we selected this company to work with. 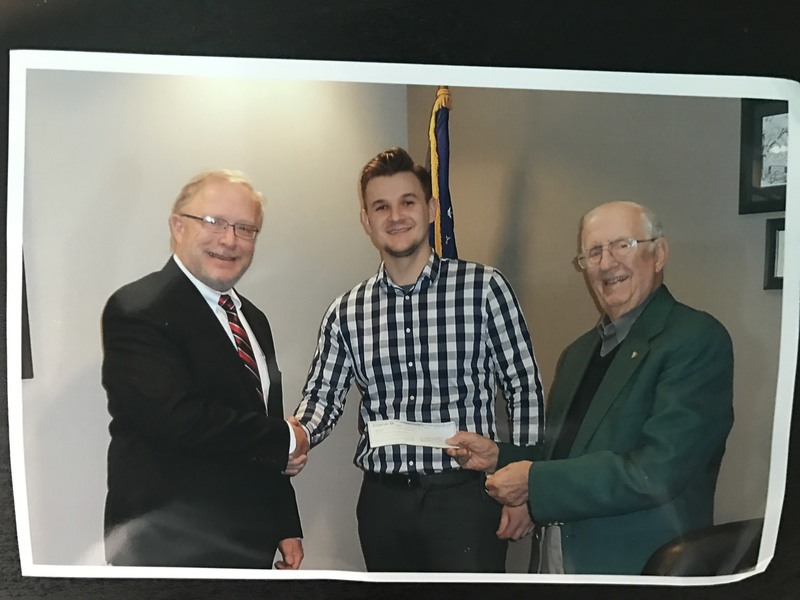 I would like to say that the representative we worked with was very professional and was able to answer all the questions we had for reverse mortgages. They were able to help guide my parents and were very detailed with explaining how the process works. Before committing to a company we explored different businesses to work with. Other companies we spoke to were very pushy and were immediately ready to start a deal. However, this was not the case with Z Reverse Mortgage. They were able to answer all my questions and concerns. Great service. I would highly recommend this business to all my friends and family. We recently stumbled upon z reverse mortgage as we were looking into the program for our parents. After numerous attempts we almost gave up until we found this company. They were very knowledgable and informative about the programs and helped us make a wise financial decision for our parents. I had been thinking about moving to a house closer to my son and his family, but I wasn’t sure if I could afford a new home and make the mortgage payments. With a reverse mortgage, I was able to afford a great home, and I don’t even have to pay any mortgage payments. We were worried we were going to have to sell our house. Z Reverse Mortgage helped us find a lender and take out a reverse mortgage. They eliminated our monthly mortgage payments, and now we know we can stay in our house for the rest of our lives.